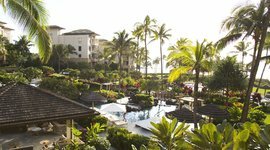 One of the first resorts on Maui, The Royal Kahana laid claim to arguably the best location on the island. 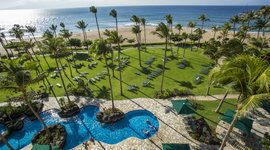 Enjoy a drink by the family pool, while kids are treated to shave ice. 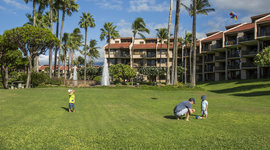 This resort offers dozens of family activities including hula lessons, lei making classes, nature walks, and its famous “Mix” and “Mingle” gatherings with burgers and mimosas. 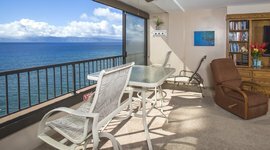 Vacation rentals here offer beautiful ocean views and come with all the amenities of home. 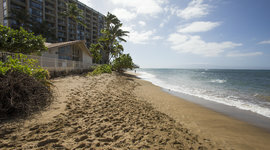 Snorkelers can drive 2 minutes to nearby Honokowai Beach to enjoy a pristine reef. 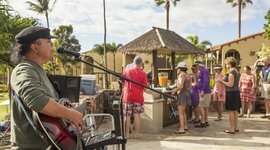 Every week, the resort manager throws a mai tai party with free drinks and live music. 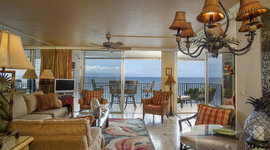 Condos here are extra-large and many come with lofts, overlooking the ocean. 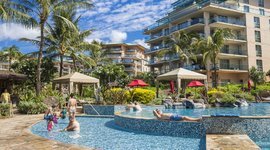 Perfect for couples looking for a romantic getaway, this resort has an elegant pool with plush cabanas, fine garden-side dining, and spectacular views of the ocean. 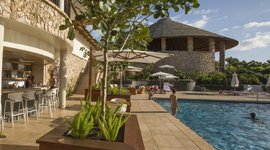 Sit by the pool and admire and the resort's lush gardens. 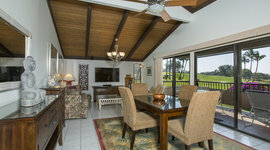 Then head back for a family cookout on your personal grill. 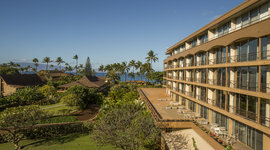 The resort is a 5-minute drive from shopping, dining, and the beach. 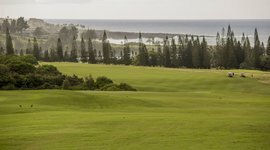 You can see Wailea Golf Club from your balcony. 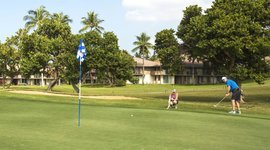 This couples resort is great for golfers and is perched on the scenic hills overlooking the Pacific. 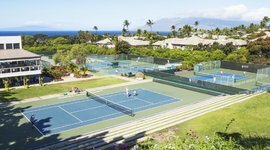 Perfect for golfers and those looking for a quiet stay away from the action, this resort borders Wailea Golf Club and is right next to the best tennis facility on the island. 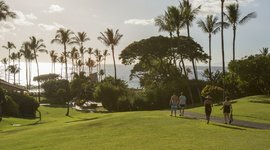 You're walking distance to a great golf course, and snorkeling at the famous Black Rock Beach that divides both sections of Ka'anapali. 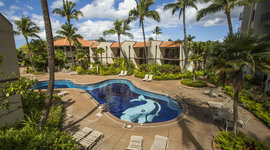 Swim in one of four pools or in the ocean at Napili Bay. 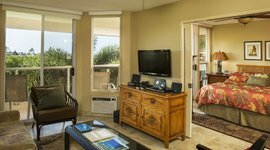 The resort has “quiet time” at night to ensure an exceptionally peaceful stay, along with great dining overlooking the ocean. 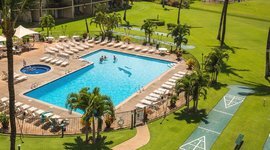 With multiple beaches right across the street, the resort boasts two pools, and faces the south, so you have extra access to the sun. 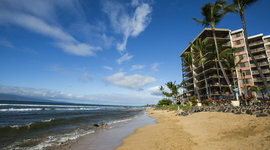 This quieter resort is at the north end of Ka'anapali Beach, and hence much less crowded. 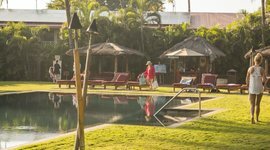 Grab your own spot and camp out for the day or relax by the pool. 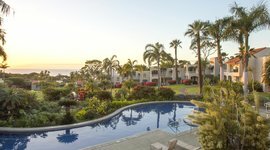 Flowers and palms surround low-rise condos and calm swimming pools. 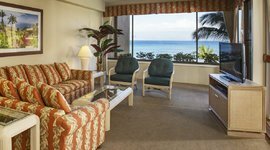 You're right across the street from a nice local beach. 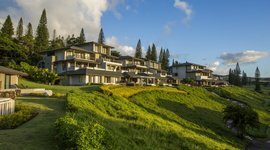 Perched above Kapalua Beach, this luxury resort gives you epic views of the island and access to lava rock nature trails below. 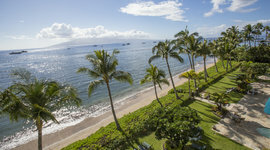 Set in upscale Wailea, the resort is right above a peaceful local beach. 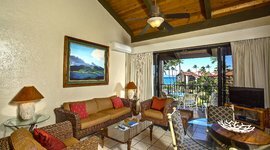 You're right next door to Wailea Golf Club and local dining in Kihei.